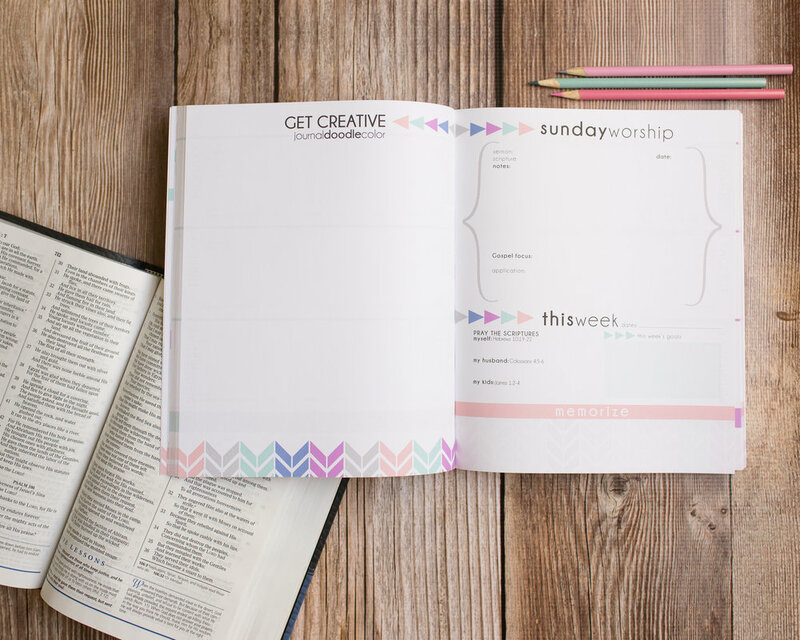 What is a 'faith planner and journal' and why do I need one? As a mom of two very strong-willed, spirited, and busy kids, I have learned very quickly that the key to a healthy home is a healthy relationship with God. But let's be real for a minute... keeping this a priority in the face of the day to day chaos of parenting proves time and time again to be a problem. 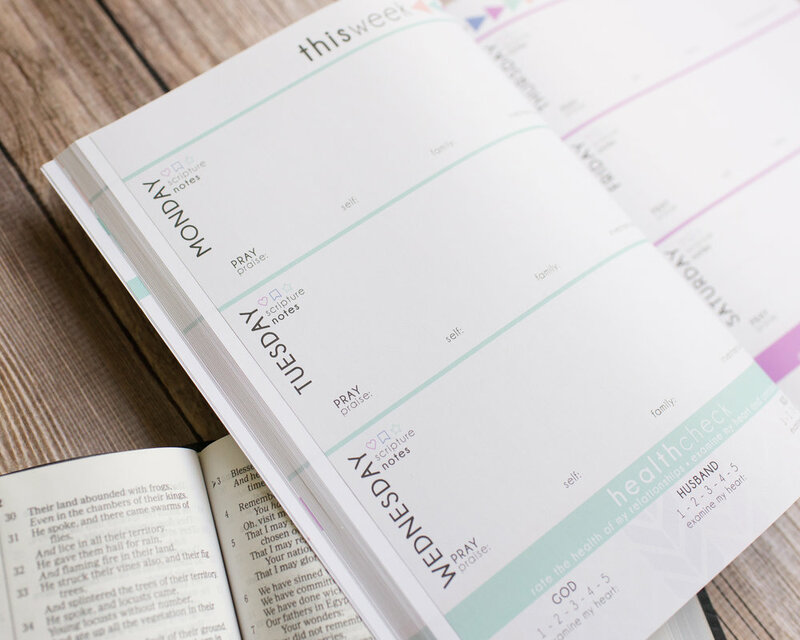 Everyday Mercies Faith Planner and Journal for Moms sets out to solve this problem by providing Christian moms a source of accountability and guidance in their daily growth journey. Y'all, I have searched and searched, and I am convinced.. no other resource exists that offers so many tools in one easy to use journal! Everyday Mercies provides the concrete tools necessary to not just survive but to THRIVE in God’s word on a daily basis. As you spend more time with your eyes directed to Christ, you will be better equipped to serve the Lord and your family through the amazing blessing of motherhood! So what's inside this journal? Inside these beautiful pages you will find a source of accountability and guidance for your own personal spiritual maturity, opportunities to plan growth steps, and 52 weeks purposefully laid out to journal those precious moments spent in the Word of God.